The former Turkish National Police counter-terrorism chief is speaking out at considerable risk to his own family. As part of Erdogan’s crackdown after the failed military coup in July, Yayla’s 19 year old son was prevented from leaving the country, and eventually arrested on terrorism charges. When I first spoke to Yayla, he had just launched his new book in Washington DC, ISIS Defectors: Inside Stories of the Terrorist Caliphate, co-authored with Professor Anne Speckhard, a NATO and Pentagon consultant specialising in the psychology of radicalisation. “Turkey is supporting Islamic State and other jihadist groups,” said Yayla. Yayla is the first Turkish counter-terrorism official to claim firsthand knowledge of Erdogan’s secret support for Islamist terrorist groups. He has intimate knowledge of the government’s relationship with ISIS, having worked closely with senior government officials in Ankara — including Erdogan himself — to discuss operations. After my initial interview with Yayla, I had countless further questions about his specific experiences of Turkey’s sponsorship of ISIS. But I was having difficulties reaching him. Eventually, I received an email on 30 July clarifying the reason for the silence. “Unfortunately, they arrested my son,” Yayla wrote in a further email. I first spoke to Yayla at length on 4 August by telephone. His voice was noticeably subdued compared to our initial conversation. The first thing he told me was that he had not been able to stop crying, due to fear of what would happen to his son. The situation was intractable. To get his son released, Yayla needed to find a good and brave lawyer. But lawyers were already being purged by Erdogan — especially lawyers that agreed to take cases of people arrested by authorities for being linked to the coup. Teams of counter-terrorism officers had been sent to the home of Yayla’s father in Ankara. They had searched the house, and asked repeated questions about Ahmet himself. Since then, Yavuz Yayla remains in indefinite detention on terrorism charges, and appeal proceedings have been unsuccessful. For Yayla, the real target of these actions is obvious. In the two months during his son’s detention, Yayla has been unable to communicate with his son by phone, although inmates have the right to a ten minute phone call every week. By early September, the Turkish authorities temporarily released Yavuz with all his personal belongings, only to detain him again at the door of the prison. This time he was re-arrested on the grounds that his passport had been canceled by the government. The lawyer whom Ahmet had eventually found for his son pulled out of the case under pressure from Turkish intelligence. In reality, the cancellation of Yavuz’s passport was linked to his father. Turkish authorities had cancelled the passports of Ahmet Yayla and his family members in July 2016, after Yayla wrote an article in the World Policy Journal highlighting evidence of Erdogan’s support for terrorism. But that article barely scratched the surface of what Ahmet Yayla knows firsthand about the Turkish government’s incestuous relationship with ISIS. Yayla said that controversial allegations in the Turkish press concerning support to militant groups in Syria through a Turkish charitable NGO, the Humanitarian Relief Foundation (IHH), are entirely accurate reflections of a murky relationship between the Turkish government and jihadist groups. 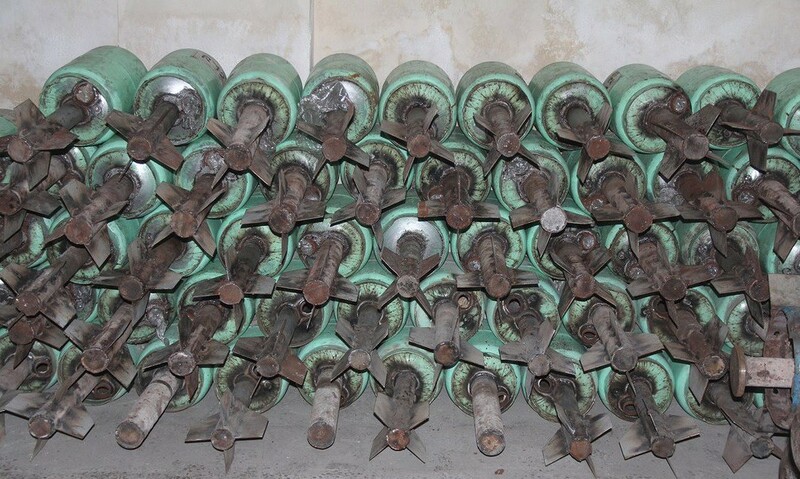 On 3 January 2014, the centrist Turkish daily Hurriyet reported that a significant quantity of ammunition and weapons were found by Turkish police in trucks transporting aid on behalf of the IHH to Islamist rebels in Syria. It soon emerged from prosecutor and witness testimony of the police officers in court proceedings that the trucks were alleged to have been accompanied by officials from the Turkish state National Intelligence Organisation (MIT). 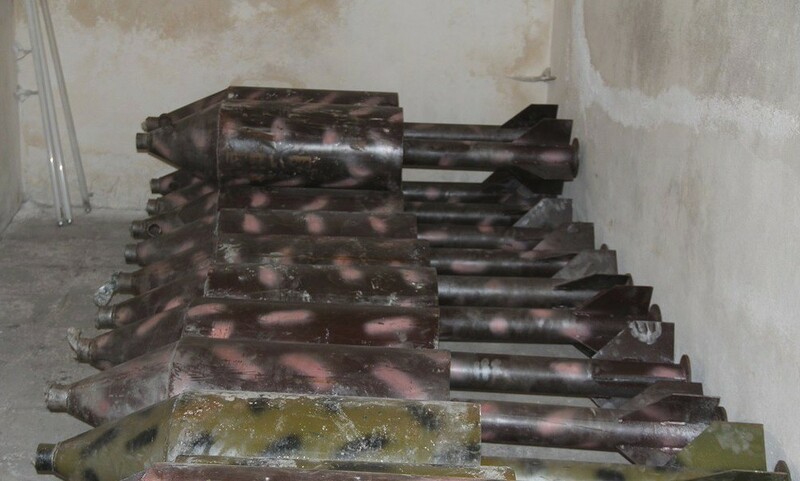 The testimony in court documents claimed that rocket parts, ammunition and mortar shells had been found in trucks delivering supplies to areas of Syria under the control of jihadist groups in late 2013 and early 2014. However, Erdogan’s government banned all Turkish media from further reporting on the court proceedings. The allegations, claimed the government, were part of a conspiracy to undermine Erdogan’s presidency — organised by the exiled Muslim cleric, Fethullah Gulen, who is resident in the United States. According to Ahmet Yayla, however, the allegations against Erdogan and IHH are accurate, and have nothing to do with a Gulenist conspiracy. “I was indirectly involved early on in the counter-terrorism investigations into IHH,” said Yayla. Even before the flotilla incident, IHH had become the primary partner of the Turkish International Cooperation Agency (TIKA) — the Turkish government’s official aid agency — to distribute humanitarian aid all over the world. “Except, it wasn’t only humanitarian goods IHH was distributing. Amongst the goods, were weapons,” said Yayla. 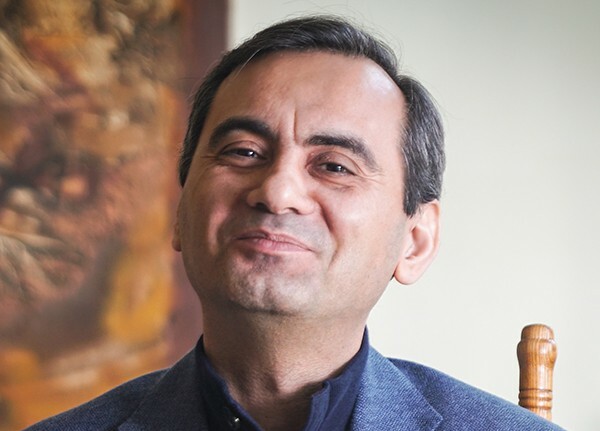 IHH’s chief benefactor in the Turkish government was Hakan Fidan, who headed up TIKA from 2003 to 2007. A former Turkish military officer, he became deputy undersecretary to the Prime Minister in 2007. Since 2010, he has been head of the Turkish state intelligence agency, MIT. But according to Ahmet Yayla, Fidan was a prime suspect in a series of terrorism attacks in the 1990s — when Yayla worked as a police officer in Ankara. The attacks involved targeted assassinations of leftwing Turkish intellectuals affiliated with the newspaper Cumhuriyet, in the form of car bombings and exploding parcels. The victims included journalist Ugur Mumtu, women’s rights activist Bahriye Ucok, and intellectual Ahmet Taner Kislali. Police operations traced the perpetrators of the attacks to a terrorist cell run by the Turkish Hizbollah (TH). Two key individuals now close to Erdogan were identified by police as members of the cell: Hakan Fidan and Faruk Koca, a founding member of the ruling AKP. Turkish Hizbollah is a Sunni Islamist terrorist organisation that emerged in the 1980s, originally run by a Kurdish faction. It is particularly active against the Kurdistan Workers Party (the PKK), and openly endorses violence as a means to establish an Islamic state in Turkey. The group has no ties with the Lebanese group of the same name. But according to Yayla, Turkish police operations revealed that TH had ties to senior elements of Turkey’s security apparatus, as well as strong relationships to post-revolutionary Iranian intelligence officials. TH has since been designated as a terrorist organisation by the State Department. Over the last decade, while TH has not renounced its commitment to violence, it has focused on political activities. Yet its violent legacy lives on. There is a direct line of descent between TH, al-Qaeda and ISIS. 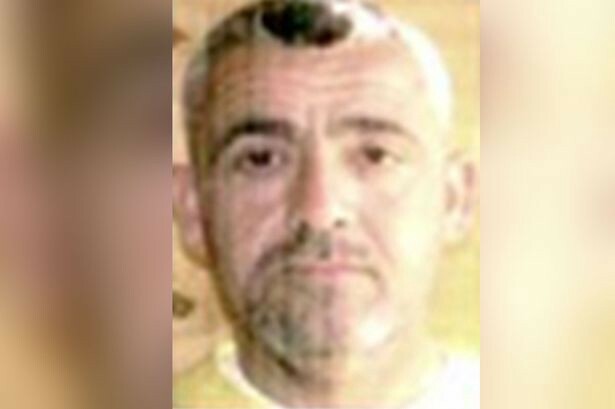 Halis Bayancuk, whose nom de guerre is Abu Hanzala, is the emir of ISIS in Turkey. Previously, Turkey’s state-run national public broadcaster, TRT, identified Bayancuk as the head of al-Qaeda’s Turkey branch. But Bayancuk is also the son of Haci Bayancuk, one of the founding members of TH. Police operations in 2007 in Bingol and Koceeli, and in 2008 in Istanbul, Ankara and Diyarbakir, revealed high level cooperation between TH leaders and al-Qaeda. One al-Qaeda network in Turkey led by Muhammed Yasar was found to have operated on behalf of TH. Emrullah Uslu, a former policy analyst in the Turkish National Police Counter-Terrorism Unit, says that most of the members of al-Qaeda’s network in Turkey “have had contact” with TH. Today, a splinter faction of TH that has recruited new Salafi-jihadists to its fold is now “fighting alongside ISIS and other extremist factions in Syria,” reports Turkish journalist Sibel Hurtas. Due to the police investigation, Fidan fled Turkey to Germany, then moved to the US where he continued to live in exile. 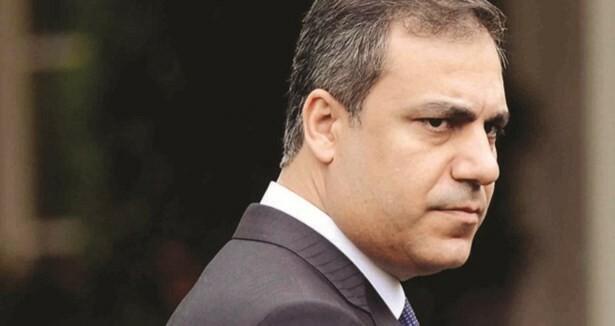 When the AKP took power under Erdogan, however, Fidan returned to Turkey and reprised his role as head of the Turkish aid agency, his ‘wanted’ status inexplicably disappearing. Due to its humanitarian credentials, the IHH, now partnered with the Turkish government under Fidan’s leadership of TIKA, provided the “perfect cover” for Erdogan to escalate his covert Syria strategy. The covert strategy continued as Fidan went on to become head of Turkish state intelligence. If Yayla’s claims are correct, then the current head of Turkey’s powerful MIT under Erdogan is a member of the al-Qaeda affiliated Turkish Hizbullah, responsible for terrorist murders of leftwing dissidents in the 1990s. From around 2012 onwards, Yayla explained, several hundred trucks of supplies were being sent by IHH to Syria. Describing several active police operations against IHH due to the agency’s relationships with al-Qaeda, Yayla confirmed that one major operation involving anti-terror raids in Gazientep, Van, Kilis, Istanbul, Adana and Kayseri had uncovered IHH’s close working relationship with senior al-Qaeda and ISIS operatives, by supplying arms to jihadist groups across the border. While Erdogan and his ministers condemned the police operation, Yayla, who has briefed Erdogan as Chief of Police in Ankara, confirmed that the operation was the result of an ongoing police investigation into jihadist support within Turkey — not a Gulenist conspiracy. But IHH was only one conduit for these operations in support of Syrian jihadists. Thousands of foreign fighters have swarmed into Turkey over the last few years to join groups fighting the regime of Bashar al-Assad in Syria. Yayla was not directly involved in these operations, but became aware of their damning findings during his senior police role, as he had unrestricted access to the relevant records. IHH has long been suspected of terrorism ties by Western intelligence agencies. The cable describes a funeral memorial for the death of al-Qaeda affiliated Chechen military commander Shamil Basayev, co-organised by IHH, and personally attended by IHH’s president, Bulent Yildirim. Yayla confirmed that the IHH police raid in 1997 had identified direct ties between the charity and al-Qaeda. IHH personnel, he said, were being prepared for combat operations in Chechnya, Bosnia and Afghanistan. Documents found during the raid revealed that weapons were being secretly supplied to groups connected to Osama bin Laden. 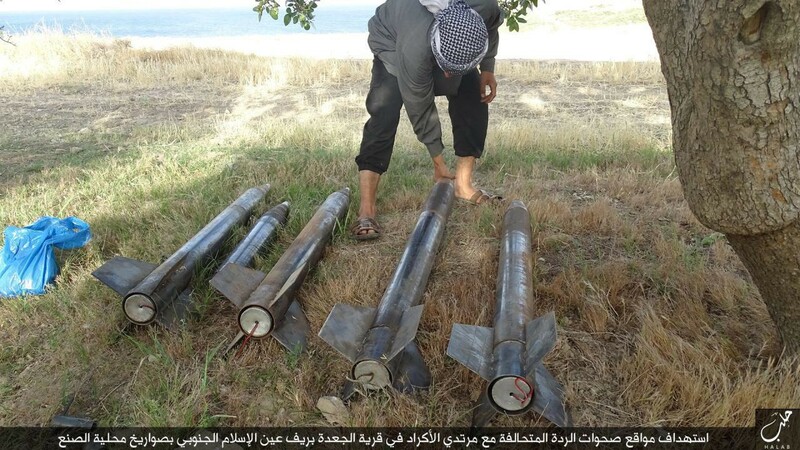 ISIS supporters also regularly transport parts to engineer make-shift explosive devices across the Turkish-Syria border with impunity. 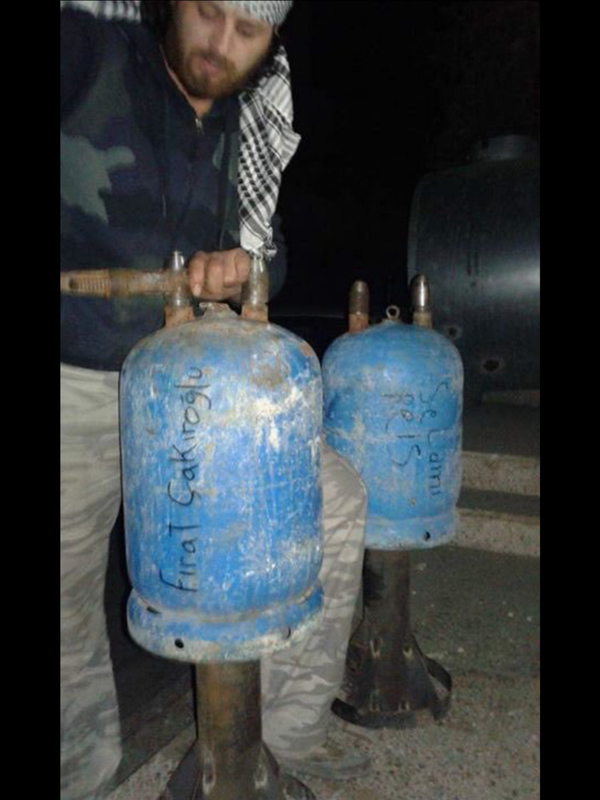 Photographs provided exclusively to INSURGE by Yayla, which he obtained directly from former ISIS members, depict ISIS members handling so-called “hell fireball bombs” made from liquid petroleum gas tanks, the parts for which are manufactured in Konya, an inner city in Turkey where hundreds of ISIS supporters reside. 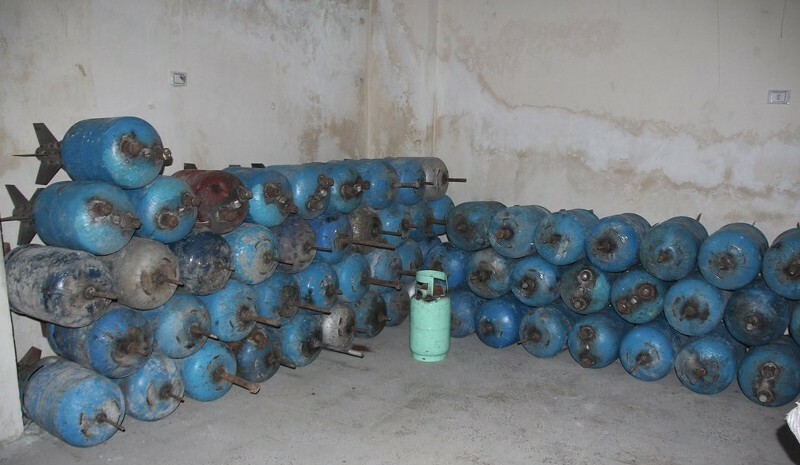 “The former ISIS member said that these supplies are coming from sources protected by Turkish security forces,” said Yayla. 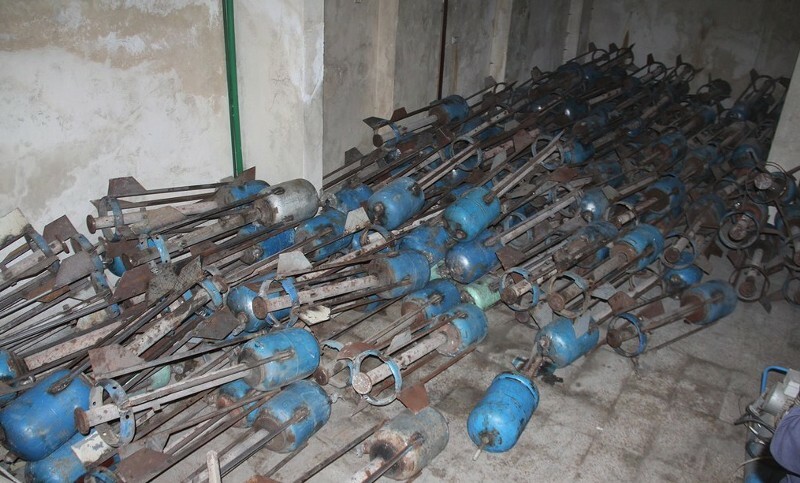 Yayla’s defector source confirmed that the parts are hauled by truck across the border into Syria to make the bombs. The trucks routinely pass through Turkish customs without problems. “They killed hundreds of civilians and kids,” said Yayla. But it is Ahmet Yayla’s personal experience of Turkish official sponsorship of ISIS that is, perhaps, most damning of all. “I have several times witnessed with my own eyes and ears the Governor of Sanliurfa [a city next to the Turkey-Syria border] talking to leaders of terrorist groups in Syria,” said Yayla. In several high-level security meetings involving the chiefs of police, Yayla and his colleagues would wait while the governor finished his phone calls with rebel leaders. Things came to a head when the governor — who is a political appointee of the Ministry of Interior — began demanding that Yayla oversee the protection of hundreds of ISIS fighters who were being shipped into Turkey to receive medical treatment. “I was the officer assigned to have the police guard those terrorists”, he repeated, the disbelief palpable in his tone. The governor was upset, said Yayla, but due to the sheer volume of ISIS fighters coming into Turkey for medical treatment, his demands could not be met. “It was so crazy you could see ambulances coming in with European plates carrying ISIS members,” said Yayla. The policy of providing free medical assistance to ISIS fighters lasted for two years until 2015. Pressure from President Obama to close the borders led Erdogan to wind down the policy that year. Yayla’s open misgivings about the compromising of police operations eventually led the governor to force him out of counter-terrorism. “I was so keen on fighting against terrorism that I created a system to go after the terrorists before they establish a cell,” explained Yayla. But the governor did not agree. 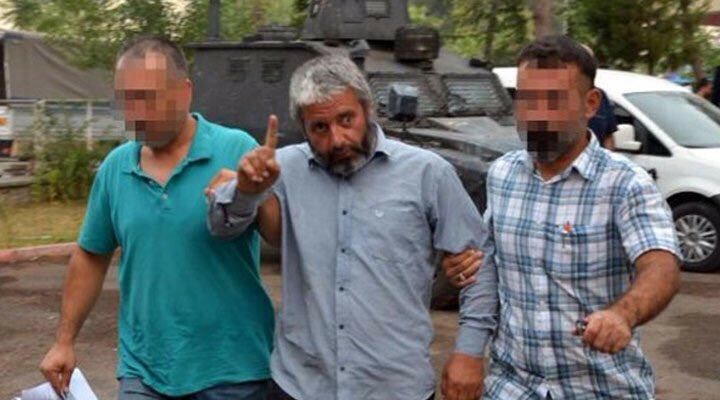 Among Yayla’s most shocking allegations is that the Turkish government has directly protected the leader of ISIS’ Turkish operations, Halis Bayancuk, also known as Abu Hanzala, who is the son of one of the founding fathers of the Turkish Hizbullah. 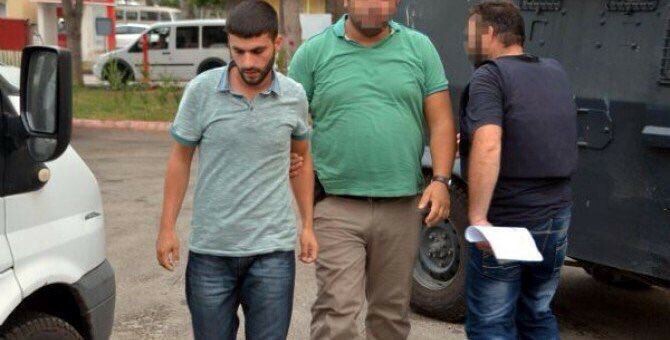 Photographs of two ISIS members being arrested separately by Turkish police provided exclusively to INSURGE by Yayla. Neither of the arrestees are handcuffed. This is not entirely surprising, given that Gazientep was previously the main logistical support base for TH, and later al-Qaeda in Turkey. But Yayla’s astonishing revelations about the Turkish government’s support for ISIS did not end there. He also referred to firsthand accounts he had obtained from dozens of sensitive interviews with ISIS defectors who were hiding in Turkey. Some of these accounts are examined in Yayla’s new book with his academic colleague Speckhard, ISIS Defectors, as well as in their recent paper in the peer-reviewed journal, Perspectives on Terrorism. Allegations that Erdogan’s son and son-in-law have been directly involved in ISIS oil smuggling operations have appeared in the Turkish press, but are fervently denied by the government. Regardless of these claims, Yayla’s own sources among ISIS defectors confirmed the role of both Turkey and the Kurdish Regional Government (KRG) in northern Iraq in facilitating ISIS oil sales. The ISIS oil network involved a combination of competing interests — including those of Bashar al-Assad, ISIS’ purported arch-enemy. Did this mean Bashar al-Assad was, indeed, sponsoring ISIS by buying its oil? 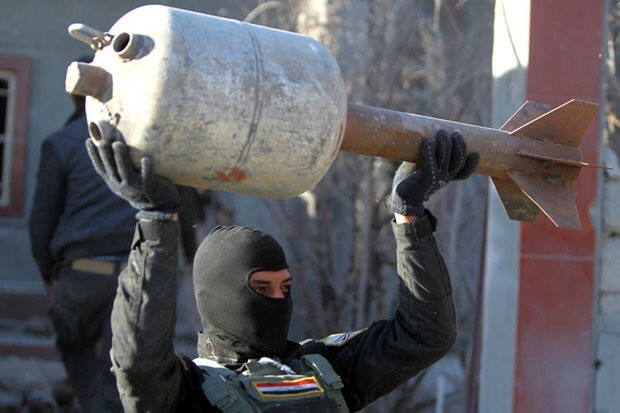 ISIS were making so much money from the oil sales overall that they had to stop counting the money by currency, and instead began weighing it in kilos. The Turkish government has shown no signs it is even marginally interested in investigating these issues. Multiple requests for comment were sent to the Turkish embassy in London regarding Yayla’s allegations, and the treatment of his son. No response was received. I asked Yayla the big question. Why would Turkey finance ISIS, especially when the terror group has in recent years not shied away from hitting targets inside Turkey? Yayla speculates that political corruption at the highest levels of Erdogan’s government has eroded the national security of Turkish society. “I think Erdogan wants to establish a new Turkish state — Salafi, Shi’a and political Islam, all amalgamated,” he said. Most perturbing of all is the deafening silence of NATO. In response to allegations of Turkey’s state-sponsorship of ISIS, a NATO spokesman was unrepentant about Turkey’s continuing role within the US-led security alliance. NATO, it seems, has no interest in investigating the systematic sponsorship of ISIS from within the very heart of the alliance. Meanwhile, Ahmet Yayla is paying a high price for speaking out. Having detained his son on unsubstantiated terrorism charges, the Turkish government is now escalating its campaign against the former counter-terrorism chief by publicly labelling him a terrorist through state-controlled media. On Wednesday, Yayla testified before the US Congressional Subcommittee on Europe, Eurasia and Emerging Threats about mounting evidence that the failed coup was “staged” by elements of Erdogan’s own government. The following day, the Turkish state-run Anadolu Agency accused Yayla of being an “alleged member of the Fetullah Terrorist Organisation (FETO)” purportedly led by Fetullah Gulen. But Yayla, who has personally briefed Erdogan himself in his role as Chief of Police, is not a Gulenist by any stretch of the imagination. Yayla’s real crime is simply his tenacity in continuing to fight terrorism, no matter who is responsible for it. His courage, though, is costing his family. And as NATO continues to protect Erdogan’s increasingly draconian regime, the so-called ‘war on ISIS’ grinds on with no end in sight.